According to Almeda Harris Wilson, a co-founder of today’s Kitsap Humane Society, the early SPCA effort “went into oblivion” until World War II. During World War II, the population of Kitsap County, particularly in Bremerton, increased dramatically due to the war industries located there. The pet population increased proportionally. Often, the pets were abandoned when the owners relocated. While volunteers rescued some homeless animals, too many unfortunate pets were merely exterminated by law officials. Wilson recalled that by 1950 the problem with stray animals became critical. After several efforts to reactivate KHS, in 1961 Wilson succeeded. A group of concerned individuals convened and, after research and planning, presented a proposal to various county and city officials. Ordinances were written and accepted. While the building KHS operated was neither adequate nor suitable, the organization was back in operation. In the late sixties, land for the construction of a new shelter near Charleston Beach became available. The shelter was built and then enlarged in 1971. 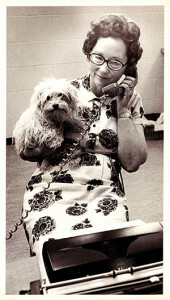 By the mid-eighties, the needs of the animals surpassed the capacity and capabilities of the Charleston Beach site. In 1988, construction started at the current shelter location on Dickey Road in Silverdale. The move to the new building was completed by June, 1989. Today Kitsap Humane Society serves Kitsap County and beyond, and cares for dogs and cats, small pets (like rabbits and birds) and occasional livestock.